Hi everybody. My name is HengShim Teh or you may call me Darren. I am a Malaysian Chinese and was staying in Japan for 11 years. But now I am back to Malaysia. I am not special and also have no experience in affiliate program or any other online business. However, I really hope that i can be success by having supports from WA. Please lend me part of power of yours to help me be success in WA. Below is my profile in detail and my little story I would like to share with you all. Hope all of you can know more about me. Origin: Kota Bharu, Kelantan, Malaysia. ?2011-2014 Returned to Malaysia because of the radiation leak in Japan caused by the earthquake on 11th March 2011. Opened Kizuna Japanese Class Kota Bharu in my hometown, Kota Bharu and work as a Japanese teacher.Besides that, I also work as a day trader in forex trading. I was born in 22nd Dec 1981 in Kota Bharu, Kelantan, Malaysia. Where is Kota Bharu? 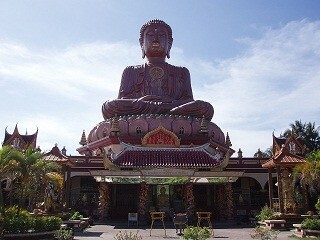 The picture is one of the beautiful places in Kota Bharu where we called Perhentian Island. Yes, this is the place where I live and my hometown is surrounded by beautiful islands. Since 1960, my family owned a small kuih teow(a type of noodle which is made by rice) factory. This factory was started by my grandfather. So, until now we are the third generation in this family business. Our family business made us a lot of profit. However, it took so much time everyday to work. As we have morning market and night market here, our factory has to start manufacturing kuih teow at 2:00am. At 4:00am, we have to deliver the kuih teow to the markets, restaurants and food stalls. The amount is about 3000-4000kg. It took 6 hours to complete the job, but, this is the morning part. From 11:00am until 3:00pm, we have to go to collect the payments from customers. 3:00pm-4:00pm is our rest time. 4:00pm-6:00pm, we have to deliver the kuih teow to the evening market, restaurants and food stalls again. Can you imagine that? 365 days non stop working from 2:00am until 6:00pm. To be honest, I hate this kind of lifestyle since I was a child. Therefore, I decided to start a new life in Japan when I was 19 years old. At first, I studied Japanese language in a Japanese institute one and a half years. After that, I continued my study in Yamagata University until I finished my Master degree. At that time, I had a dream. It was to join a world-famous Japanese company. As expected, my dream came true, I succeeded to join Mitsubishi Chemical Group and worked as a research engineer in R&D department. Working in a top level big company, having a very good monthly income and bonus, I suppose this condition satisfy my desire. However, it didn't fulfill my desire at all. Why? I just hate to work like a robot. Everyday, I woke up at 7:00am. As my company is far from my house, I had to take a train. The rush hour in Japan is really terrible. This made me suffer a lot. As I was working as a research engineer, I had to do my research everyday, including fabrication and measurement. Every process took many hours to be completed. That's why I had to work until at night everyday. Sometimes, I still had to go to work during weekend due to the deadline of projects. To be honest again, I also hate this kind of lifestyle. It took 2 years for me to realize that I was not suitable to be a research engineer. 11th Mar 2011, Japan was struck by the shock waves of a 9.0 magnitude undersea earthquake and the world biggest tsunami at the same time. Few days later, Japan's worst radiation leakage accident happened in Fukushima. For this reason, my parents were so worried about me and asked me to quit my job and return to Malaysia immediately. And I did so. Actually, I didn't feel upset at all because I was thinking this moment might be a new chance for me to reconsider my career and start my third new life. Finally, after so much time I was thinking about how to start my new life, I came up with 5 important points to define my happiness. Having a lot of money. Having a lot of time to do what I want to do. Having a bunch of good friends. After returned to my hometown, the first thing I did was using Google to search how to start home business or online business. This had led me to become a forex trader. 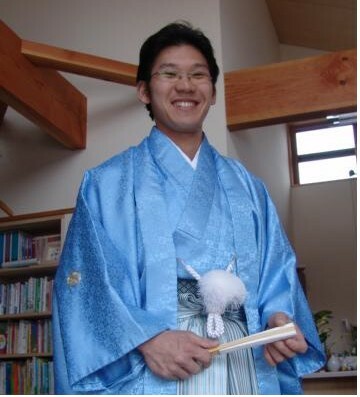 Besides forex trading, I also worked as a Japanese teacher in my hometown. The address below is the website of my Japanese class. In the first month, I had earned my first USD3,000 by forex trading. I was extremely happy because it was so easy and so fast to earn money by forex trading. My luckiness had continued up to 1 year. I had earned about USD30,000 in my first year. At that time, I did believe I can make more money by forex trading until I earn up to USD1,000,000. However, I was totally wrong. Second year, due to a sudden drop of the currency pair I chose, I lost all of my money in one day. I was so confused why I lost. I had made my own research in forex trading in the first year to find out the technique about how can I always win in forex trading, but I lost. I just didn't want to give up so I kept trying. Unfortunately, I lost all my saving money about USD20,000. I was totally depressed. Finally, I realized that I am not suitable for forex trading and I stopped trading. Then, I started googling again. I searched a lot of keywords. Online business, home business, data entry, survey online, etc. Eventually, I came up with AFILIATE MARKETING. I found plenty of affiliate websites even in Japanese or in English. Affiliate program is also very popular in Japan. 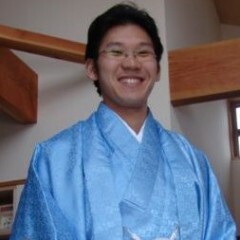 I read a lot of articles in Japanese websites about "How to Earn 1,000,000 yen Every Month by Affiliate". Unfortunately, the content was not in detail. They only mentioned how much they earn every month, how easy to earn money by affiliate, how good is affiliate, but they didn't mention the know-how of affiliate marketing. What I did learn from their websites was just create either a website or a blog, then create the content, attach some affiliate links and banners, then your website/blog will be able to earn money automatically. So, I started to create my website and put some banners on it. The address below is the website I created few years ago. It is a very low quality website. To be honest, I almost earned nothing and very few readers visited my website. I was very upset. I kept thinking "how to start affiliate marketing for free", "how to create a high quality content website", how can I attract visitors to my website", "how to make my affiliate program successful", " how to earn USD10,000 every month by affiliate" and so on. I was almost desperate because I could not find the solution to overcome my problems. At this moment, I found Wealthy Affiliate(WA). Of course, I only half believed after so much I experienced before joining WA. Well, I tried again. 3 days later, I decided to become a PREMIUM MEMBER of WA. You must be curious what had changed my mind. The answer is the content of the lessons for Starter Membership. The lessons are awesome. All the answers of my questions, "How to Start Affiliate Marketing", "How to Make Affiliate Program Works", "How to Make Money Online", "How to Choose a Niche", "How to Create a Website", "How to Get Ranking in Search Engines", "How to Earn Money from Your Traffic", etc. are noted in very detail. About the content of the lessons, it isn't difficult to understand. As you know from my profile, I was educated in Japan and I almost didn't write or speak in English because most of the Japanese doesn't understand English. What I want to say is, even I can understand the lessons means that you also can understand the lessons. Furthermore,there are a lot of WA experts here and they always give me a lot of good advice and suggestion. Joining WA made me feel like I am back to university again as I really made many friends here. Although we don't meet each other, we make discussion, encourage one another and build each other up, read each other profile and blogs to absorb different experience. Finally, I just want to say thank you to Kyle & Carson for giving me this opportunity to join WA. And also would like to thanks all my friends in WA for giving me a lot of support, encouragement and advice. To those who have read my story, if you are interested in how we earn money in WA, please feel free to contact me or just simply write me some comments. I will be pleased to help you and I promise I will try my best. Hi Darren! I just checked out your website and left you a comment on one of your posts http://wealthyaffiliatemalaysia.com/my-lead-system-pro-review-2015-60-out-of-100#comment-158. You are a great writer and I highly recommend to anyone who is new here or even just new to writing reviews that they check out this post as a blueprint because it is just really well done. Keep it up - you are doing a great job and thank you for the inspiration! Welcome here you will get to know lots of nice people here, your right, and me included. Hello Darren! Wow! What an interesting journey you've had. I'm so glad it led you to WA. I know you will be successful here because, you are a Hard worker, & have Awesome goals. The best to you! Hi, Darren you already know how to be a good student just apply it WA and you will be rich. I enjoyed your profile blog. I wish you much success in this WA endeavor! Hello Darren, thank you for your sharing. Appreciate it! Thanks for the follow Darren! Would Hengshim be your given name or family name? What an interesting profile! Interesting, special life! I agree with you that the lessons offered here have helped to build my confidence that somebody like me can recognize online financial success. I truly hope that you do the same. Thanks for your comment Sarah. So impressive to know that you can speak mandarin. But, I can only say Bonjour! Comment a lez vous? Sure, we chat sometimes. Thanks again for adding me to your network. Well, maybe when you hear me you won't be so impressed !! shuo hanyu de bu zenmeyang (I need to add chinese caracters to my computer). I wish you all the best ! I just wanted to thank you for adding me to your circle and to wish you a fun and exciting journey to success here on Wealthy Affiliate! I'm sure you'll find all the training, tools and help that you need. Hello Darren, as many of the community family here may have already mention. Here at Wealthy Affiliate you are in good hands! Everyone here is willing to help you become successful! You are a man of many talents, and I am sure you will do well! So, from me and the rest of the family, good luck in your success! Hi Darren thanks for following it is my pleasure to welcome you into my network and wish you all the best in your future ventures. Thanks for the follow and welcome to WA. Best wishes for your success. Hi Darren thank you for the follow and welcome to WA. Never say you are not special as you are look at all the achievement you have made. Regardless of any downturns in your attempt you still manage to hold you head above water. You are also an Wealthy Affiliate member that makes you special just with that along. So you are special you are unique and you are now a family member here. Hi Andre. Thanks for your encouragement and I really hope can keep receiving your support:) Thank you so much:D Cheers! Hello Darren. Thanks for following me and making me apart of your journey. I know you'll do fine here; you have the right attitude to succeed. Take care. Welcome, Darren. I just want to say I hope you find everything you need here and have great success with your business. You have a very interesting story. Interesting background. You are going to do well and have fun here. Don't hesitate to reach out if you need help? ;-) Johann. I am glad you enjoyed reading my background:) And also thanks a lot for your message. It encouraged me a lot:) Cheers! Welcome Darren. Thank you for following me. Your profile is like a resume. You will do great. Welcome to Wealthy Affiliate. Best wishes. Greetings Darren and thank you for following me. You have had quite an interesting life and excellent educations background. I wish you all the best in 2015 and beyond! Thank you for including me in your network, Darren. I wish you all the best. Good luck in your online venture! Hey welcome & thx for looking in and for the follow, it's an honor! I'm sure you'll do really well at WA! Here is one of blog articles to help you move forward Focusing on your success here at WA Blessings & good luck to you. Hello HengShim Teh, thank you for following, all the best to you here, regards. Welcome to the family. I am so glad you found your way here. You certainly have had a lot of different experiences in your life. Those will all be helpful in your future online business. You are in the right place to be able to learn and achieve your goals. I know the training and support here is exactly what you need. Hi Darren, theis is a very impressive CV. And you seem to be a prolific blogger too. All the best for your success at WA. Thanks for the follow, Darren! I'm just getting started so will be looking forward to learning from you and others within the community. All the best for 2015! Thank you HengShim for the follow and many blessings to you here at WA. If you have the time or wish to, please check out my blog posts on my profile page. I blog about ways to help you build a better website and best practices here at WA. I also post an entertaining and/or humorous blog every Sunday. Enjoy! Thanks Darren for the follow. Your profile post is quite a journey, very impressive too. Thanks for adding me to your WA network, Darren. Thank you for the follow, HengShim....you have quite an impressive and extensive background for your age! I am happy that you found WA instead of so many 'false' places on the internet. I look forward to networking with you. I would be happy to! Message me anytime! Hi Darren, welcome to WA, and thanks for the follow, returned. That's a pretty impressive profile and you can be a great asset here at WA. Best wishes for all you wish to achieve at WA. P.S. Is Darren the English translation of your name? Good Morning Darren, thanks for the follow. I am going to be keeping an eye on you for I feel I can learn a lot from ya. Best of luck here at WA. Nice to meet you again Tracy. Anytime. Best of luck to you too. Hi Darren thank you for the follow:) Welcome to WA! I enjoyed reading your introduction, very interesting and inspirational. wish you the best in IM adventure. Sure. Anytime. Please feel free to drop me any message if you need help. Especially those related to Japanese. Japanese is just like my second mother language:) Nice to meet you again. Darren, Thanks for Following. I hope you have Great Success with your Time spent here on WA, and I wish you Success in achieving all of your Goals! Hi HengShim, Thank you very much for your follow back and all the best here at WA! Hi Darren, welcome to WA, you're on the right place! Thanks for adding me to your WA network, much appreciated. You're doing very well here, so keep on track and let's stay in touch. Wonderful to meet you. Thanks for following. With your kind of determination, I think you will succeed here. Best to you. Thanks for the follow. Good to have you with us. Darren, thanks for the follow and back atcha. Welcome to Wealthy Affiliate. You have just found the right place to learn all there is to know about this online marketing community and how to build a highly successful business. Just remember, this is a marathon race, not a short sprint. So just have in mind that this online business success is not only going to take a lot of hard work from you but also dedication and plenty of time as you cannot become successful in a day or two. Don't be in a hurry for success. Just do things right the first time around and success will meet you the harder you work. Follow Kyle's videos and instructions and if you get stuck....well.......that is what the community is for! Just ask and you will receive everyone’s help each other out because we all care! Thanks for your advice Ken. I will keep learning from Kyle's video. To be honest my progress is slow as I always read few times for every lesson because this make me more understanding. Hi Darren. Thanks for the follow and best wishes. Hello Darren! I’m Coach Rebecca. Thanks for the follow. I am happy to connect with you. Please let me know how I can help you with your dream for online marketing success. What's the Secret to Success With Internet Marketing? Hi Rebecca. Thanks for your information and knowledge. It is really helpful. Thanks again. Thanks for the follow, you have great experience, best wishes online. hanks for following me. It is much appreciated. All the best at fulfilling all your goals especially the ones that brought you to W.A. in the first place. Hey Darren, thanks for the following...followed you back. I enjoyed reading you profile. Lot's of diversification there that should serve you well moving forward with Wealthy Affiliate. Wishing you all the best and future success in reaching you online goals! Hello Darren, thanks for sharing your background and congratulationes in joining WA. Wish you success! Hi Darren, thanks for follow and I follow will follow you too. Welcome to WA and I am sure this is the plateform for success. All the best. Hengshim, I see you are making some good progress through the Affiliate Bootcamp. Just wanted to pop by and see if you need a hand with anything? Anyways, just checking in. Get back at me if you need anything Hengshim. Hi Kyle. There is one more thing I need your help. Can you take a look at my website? Please let me know which part I need to correct again. One more question, is my website proper to use the "Keyword Genius" as my website's categories? Please kindly leave a comment to me. I will be very appreciate it. Thanks again. Sure, I can definitely take a look for you Darren. What is your website URL? Let me know and I will have a look for you. (1) You want your posts to be as a "user" (you) versus "admin". This is covered as you move through the training, but if you want to work ahead here is the training on how to create a new user. (2) Be thorough with your content. Quality content is content that is helpful and often times means it being thorough. With each page or post you create on your website, people should come to it and feel as they have gotten the help/information that they were looking for and it was presented in a way that was interesting. (3) Use clear and concise headlines within your content. You can do this by using h3 tags that break up your content. It will make your content much more readable. PS. I hope you have a super productive week ahead! Hi Kyle. Thanks for your suggestions. Yes. You were right. I was facing problem about how to add new user with my own name. Now I have corrected it and known how to change my author name to my name. Thanks a lot. You are right again. I think most of the people very like the keywords such as EASY, FREE, HIGH QUALITY etc. Every time I read your post or website you showed me, the very obvious difference is Kyle's content is very attractive but my content seems very boring. Anyway, I am working hard on it. I hope my contents can be like yours. Of course not copy, just for reference. Hi Kyle. I have one more question? Are we allowed to leverage the video walk through which you made in our websites? Or we have to make a new video ourselves if we want to post the video in our websites? You can link to it most definitely. Within every video we have here there is an "Affiliate Link" button. You can click that and it will send people to that page through your affiliate link. Hi Kyle. I have some problems in transfer my siterubix website to my own domain. I was following the video you provided to buy my own domain name at Namecheap.com but it seemed different. Especially when setting the DNS. I don't know where should I make the setting. Can you please help me out to transfer my siterubix website to my own domain? Thank you. Namecheap has directions on how to update their DNS directly on their website. Remember, you are updating your nameservers to that of WA. Upon updating these, you should be able to build your website within 12 hours, often times far quicker (within 10 minutes or so typically). Thanks Kyle. I have figured it out last night and successfully transferred my siterubix website to my new domain. Can you please take a quick look again at my website? And, please give me some advice how I should improve my website. I will be very appreciate it. First off, I love your theme choice and your overall content deliver is clean and aesthetically pleasing. Good job there. I do have a few suggestions for you moving forward though and one is what I mentioned before. Is not adequate, it needs to be more detailed and offering more insight and help within the discussion. (2) Target keywords within every page or post. Each page or post on your website should have a keyword focal point. Keywords are what lead to rankings and what lead to traffic. So when you are looking to come up with an idea for a new post, do some keyword research and find a phrase that is related to your niche. There is no point in creating content if you are not targeting a keyword that will lead to a ranking/traffic. Traffic is the ultimate goal here as it will lead to opportunity. As you build out your content and start getting rankings under these terms, you will see your traffic (and revenue) cumulatively grow. Just know that not every page will rank, but over time a good percentage will. The game of numbers! Thanks for connecting and you have got my support. This is a great platform for learning and eventually be a successful internet entrepreneur. Good luck! Hello HengShim, thanks for the follow! Hi Darren, Welcome to WA, congratulations on going premium and thank you so much for including me in your network. If I can assist you in any way, please do not hesitate to ask. Wishing you great success in achieving your internet goals. I will Lis. Thanks for your support. Probably I will need your assist following days as I really very newbie here. No problem Darren, I am here to help you, when I can. Lis. Hi Darren. All the power you need is inside of you. Follow the lessons & you will do well. Welcome Darren!! needless to say, your going to love everything Premium is about : ) Looking forward to watching your success ! Thanks for your encouragement Rob. I will do my best. Thanks for the follow! Following you back. Welcome to WA and congratulations on going premium. When I joined in November I was a total newbie. I'm still no expert, but I have learned so much! Just follow the lessons step by step and you'll be fine. If you have any questions you can ask me and I'll help you if I can. I look forward to working with you and simply drop me a reply if you ever need a hand with anything. PS. Have a great weekend ahead! Thanks for your support Kyle. I am so glad to receive your reply. According to the first task, i have editted my profile. Is that ok? Or whatelse should i do to improve my profile? Yes, that is perfect. Your profile looks great! Is Motor Club of America a Scam? I have created a new review.